I don't know much about this series... Could this be some kind of an extra-manga? Ooo, this one is very pretty too ! 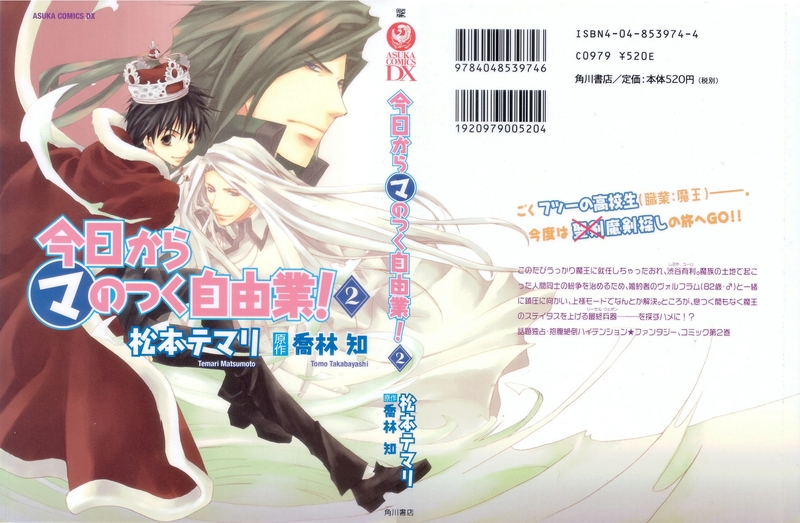 I like Kyou Kara Maou very much :), thank you for such great scan ! oh wow. what a beautiful cover scan. i really like the long hair guy, such pretty hari! i wonder who's the guy in the background. thanx for sharing this with us. it would be great if it was published in my country ! i really enjoy this anime, it's so funny and full of adventures ^^ thanks for sharing !